Dr Milanovich graduated from the Canadian College of Naturopathic Medicine in 2003. There he co-founded the men's health awareness week, and was a member of the sports medicine group. Prior to that he studied kinesiology at the University of Calgary, and received his bachelors of science degree from the University of Victoria. He also sat on the athletic advisory committee while developing a passion for competitive rowing and coaching, and continued to do so for several years for clubs across Canada. 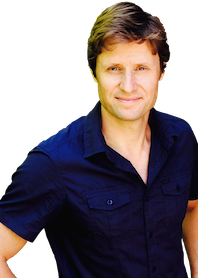 Dr Milanovich now resides in his home town, the beautiful Comox Valley on Vancouver Island, along with his wife and 2 children. After running a Bikram yoga studio with his wife for almost 10 years, and teaching yoga, he continues to blend his passion for active living and regenerative medicine, particularly in the field of pain management and soft tissue injures. Dr Milanovich uses various modern regenerative medical techniques such as Regenerative Injection Therapy (aka Prolotherapy), PRP, and electro-acupuncture, to assist people back to a healthy, active, and Pain Free life.